The ladies of The Mystery School join together once again to bring forth messages in service of humanity. 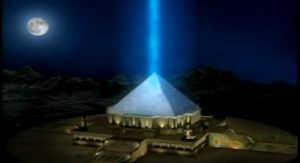 Like the sides of the pyramid, the energy pours down into the participants and creates a sacred space for a flow of knowledge and understanding for all who reside here on Earth. Where the human picks up a telephone and speaks, or uses a computer camera and microphone to communicate with another who is far away, these tasks can be achieved using consciousness only. The Source (God) tells that such things are possible, in the now. There is also important clarification about time, space and the human experience in the body. The body is only one chapter in the many lives and many bodies the soul has taken up. You can read more here in the Mystery School.